Ahasuerus is the eternal man. All the others resemble him. Your judgment of him will serve for them all. Now, our work is finished, and the mystery also. Our city is closed. Tomorrow, we shall create other worlds. Until that time, let's both go and rest under a tree in our forest, in our eternity. The story told in Ahasuerus (1834) begins with the Creation of the world and moves rapidly to the Last Judgment. But it does not end there, as have previous literary visions of the Apocalypse, but goes beyond it, in order to pass judgment on the verdict. In this startingly original epic, the Last Judgment is not only appealed, but set aside, reweighed and found wanting. The verdict passed on the human race by the Eternal Father is supplemented by a very different judgment delivered by Christ, of a particular individual cursed to be a witness to the unfolding of human history: Ahasuerus, the Wandering Jew. Having overturned the traditional Last Judgment and substituted one more in keeping with modern ideas, Edgar Quinet continues his narrative to provide a further vision, which passes judgment not on humankind, but on God himself in a curious and strangely poignant coda. 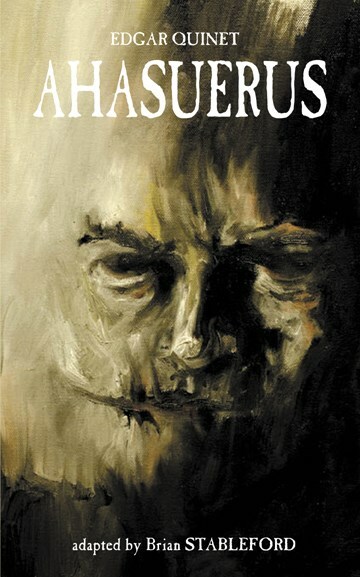 Ahasuerus is an exceptional work, deserving of attention and admiration.